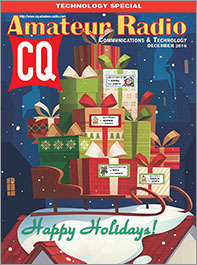 It's December, it must be time for CQ's annual Technology Special. This year, we've got old and new, basic and advanced, hardware and software, building and operating, theory and practice. We look at antennas and receiving techniques for our soon-to-come 630-meter band, using a single-chip FPGA (Field Programmable Gate Array) as a repeater controller, and have two articles on software-defined radio. We also go back in time to Novice rigs from 50-60 years ago (including building one today from plans of yesteryear), offer troubleshooting tips from Sherlock Holmes himself and much more. 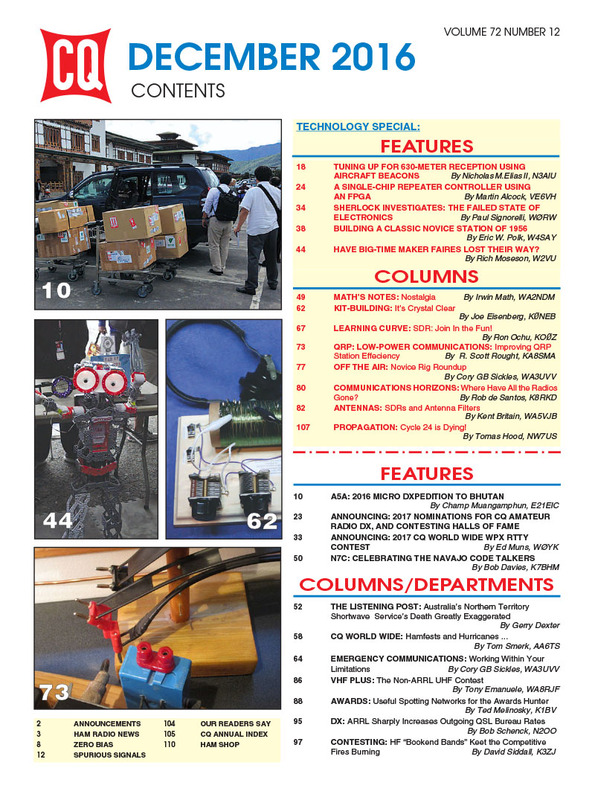 Plus, a mini-DXpedition to Bhutan and look in on a special event station celebrating the Navajo code talkers of World War II. Among our columns, we cover the Novice Rig Roundup, the apparently premature obituary for Australia's Northern Territory Shortwave Service, highlights of the 2016 (non-ARRL) UHF Contest, and some useful spotting networks for award hunters. 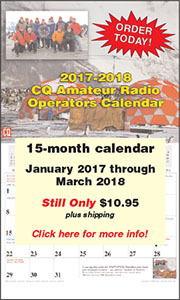 Plus, Propagation Editor NW7US looks at the downward slide of sunspot Cycle 24 and predicts fair to poor conditions for the CW weekend of the CQWW DX Contest at the end of November. That's a brief look at what's coming up in the December issue of CQ. For information on becoming a CQ subscriber, click here. 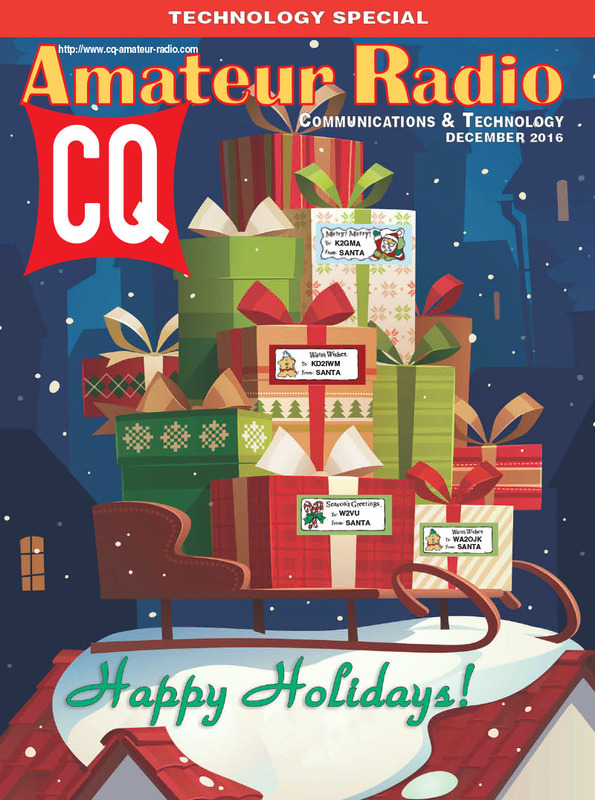 Happy holidays from all of us at CQ! Zero Bias – "Denial of Service"